Shake up your running and feel happier with these 15 tips. Feeling bored with your training lately? Want to freshen it up a little bit? 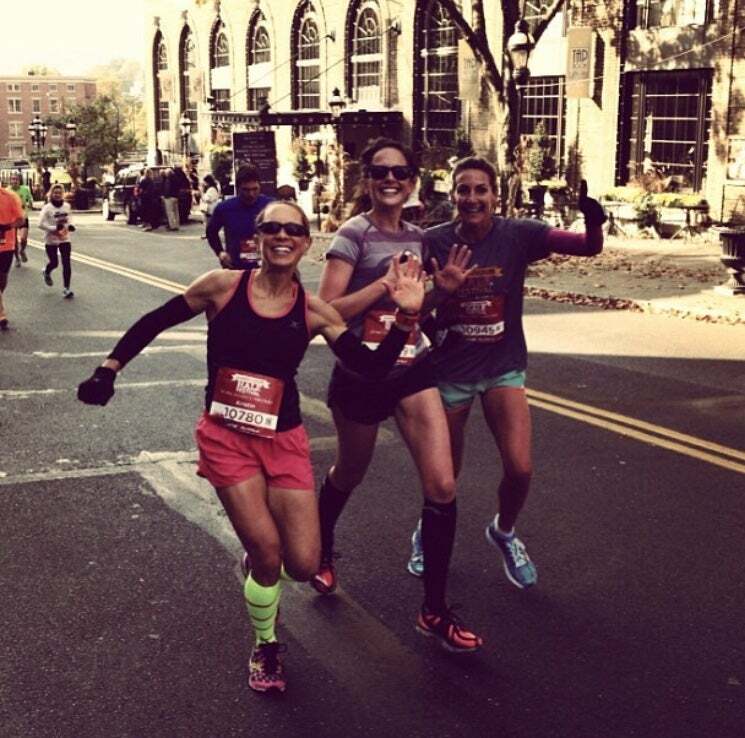 Here are 15 things that you can do if you are looking to add some life your running! 1. Decide to train for a distance that you really enjoy. If you find the long run boring and dread it, then start signing up for shorter and faster distances. Just because the marathon distance is popular right now doesn’t mean that you have to do it too if you find running 15+ miles to be boring! 2. Join a running group. I used to be extremely nervous about running with other people. I was worried about slowing them down. Once I finally started to run with a group, I realized that running with people is my favorite way to run. Social time plus endorphins- it’s almost too good to be true! Look for a group of runners with goals similar to your race times. 3. Leave the GPS at home! I haven’t worn my garmin for about two months now and it has been so nice. I feel like after following a training plan for a while I get burned out. It has been so nice to just go out and run without any sort of expectations. It has been great to switch things up. I will go into my next training cycle ready to care about pace and distance again! 4. Try listening to some different genres of music. I started listening to movie soundtracks the other day while on the treadmill and it was a fun to switch it up from my normal Pitbull and Taylor Swift. 5. Listen to podcasts or books on tape. Nothing like logging in the miles while getting lost in the storyline of a good book. 6. Work on your form. I love dedicating certain runs or specific miles of a run to working on my cadence, posture or foot strike. It keeps me focusing on something new and working on improving my running efficiency! 7. Take a few days off! If you are starting to feel bored with your running, then take some time off! Sometimes we feel a little burned out and in need of a break if we aren’t enjoying our training. Running will always be there for you when you are ready to go back. 8. Switch up your surroundings. If you are normally on the treadmill, then go outside. If you are normally on the roads, then go on the trails. If you love catching up on your favorite television shows while running, then hit up a treadmill with a tv. 10. Take a new route! We are creatures of habit and it is easy to do the same loop or trail every single day. Go explore. Find a different way to get in your daily miles! 11. Get a running coach. They will most definitely help you to switch up your normal workouts and take your running to the next level. 12. Try out a different time of day to hit the roads. As much as I will always be a morning runner, it is fun and exciting to throw in a night run with a friend or a lunchtime run on my own every now and then. 13. Run for a cause. Sign up for a big race and start raising money for your favorite charity or foundation! 14. Have someone drop you off x amount of miles away from your house. I love point to point courses but usually only get a chance to do them in a race. My dad is the best. Sometimes he will drop me off up the canyon so that I can run home from there to add some variety to my training. 15. Focus on being mindful as you run. If you find yourself constantly counting down the time until you are finished or reaching the finish line, try reminding yourself of where you are in the moment. Focus on being extra aware of how your body feels, the smells, sounds, your breathing, your lungs, your arms pumping and everything going on around you. I enjoy running and life so much more when I am more mindful of where I am at now rather than constantly worrying about the future.